* Restorative, including fillings, veneers and crowns. 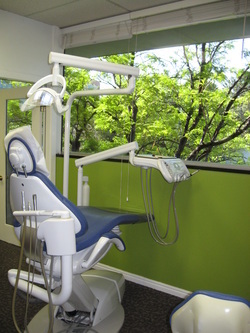 * Our newest addition is INVISALIGN ORTHODONTICS! Dr. Davis has established a network of trusted colleagues to whom he can refer his patients should the need for a specialist arise. Ask us about our bleaching incentive program for loyal patients. We will be happy to submit claims to any and all dental insurance carriers. However, the insurance carriers themselves sometimes have limitations and restrictions. If you are not certain if your insurance company will pay to providers outside their network, please contact your insurance carrier directly. We will make every effort to help our patients understand their dental plans and get the most out of their dental benefits based on the information we are provided by you and your insurance carrier. Please read all information provided to you by your insurance carrier, and feel free to contact their member services department for any questions you might have. We also encourage you to watch for the Explanation of Benefits (EOBs) that will be sent to you by your insurance carrier every time they pay benefits. These remittances will advise you of the total amount of benefits that have been paid, so that you will know exactly where your benefits stand. We want your primary concern to be good oral hygiene, so we have several affordable payment options. In addition to accepting the usual forms of payment (cash, checks, and major credit cards) at the time of service, we are now pleased to offer affordable payment plans through Citi Health Card and Care Credit. There are several options for both no interest and low-interest extended payment plans. Contact our office for more details and to determine which plan will be best for your individual treatment.